Straight shafts, reverse cross action. 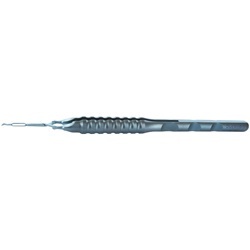 Fits through a 1.7mm incision and spreads 2.5mm wide. Round handle. Overall length: 124mm.